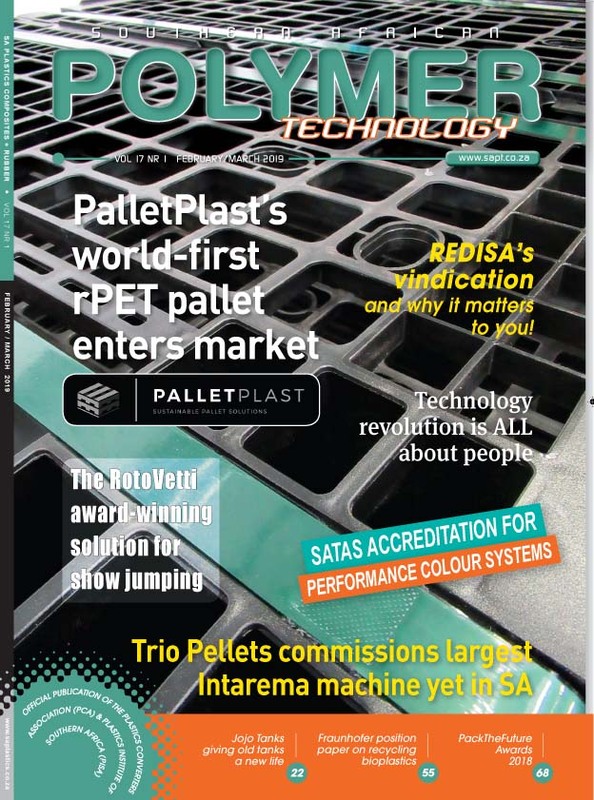 SA Polymer Technology (previously SA Plastics, Composites & Rubber magazine) was launched in 2002 by Summit Publishing, based in Cape Town and owned by publisher Martin Wells. Martin has more than 30 years’ experience as a journalist and editor focusing on the polymers industry and is an active member of the Plastics Institute of Southern Africa. The magazine has grown significantly since its inception, as too has Summit Publishing, with Martin at the helm of a team comprising Tessa O’Hara (editor), Heather Peplow (publisher’s assistant), Lowrie Sharp (business manager based in Johannesburg), Lynne Askew (business manager based in KZN) and various correspondents around the country. The magazine is published six times a year in Feb, April, June, August, October and December and has a circulation list of over 2 600. The address list comprises companies and individuals across the spectrum of the Southern African polymers industry – from equipment and material manufacturers and suppliers, their agents and principals; convertors, recyclers, raw material manufacturers, product manufacturers and services and ancillaries suppliers. Our readers also include members of research and development facilities in Southern Africa. The magazine is also available to read digitally on www.issuu.com. Simply type in ‘SA Plastics’ in the search bar, along with the month and year of the issue you would like to read. Since 2011 (our first digital version of the magazine), more than 50 000 visitors have read it online. Advertising opportunities exist in the printed publication, on our website, and in stand-alone email newsletters tailored to suit the client’s needs. Please ask for our advertising rate card if you are interested in any of these opportunities.